When you think about taking a liveaboard diving vacation with your kids, you might have a variety of feelings. Perhaps you’re excited by the idea of showing your young ones the ocean. Or maybe you’re scared that they will be bored staying on a boat. We’re here to assure you that kids can have just as much fun as you can on a liveaboard. In fact, many liveaboard destinations cater to kids with warm, shallow waters, fascinating land excursion opportunities and welcoming cultures. Plus, several liveaboard boats carry kids equipment or offer onboard activities for those too young to blow their first bubbles. It’s important to remember that kids as young as 8 can scuba dive in a pool as a part of the Bubblemaker and Seal Team experiences at their PADI Dive Center, while kids 10 and up can enroll in the Junior Open Water Diver course. Whatever the ages of your children, you will find a suitable diving vacation for the whole family at several locations around the world. Read on to learn about our favorite destinations to recommend for those traveling with children. As children, one of the first ocean areas we learn about is the Great Barrier Reef. Wouldn’t it be amazing to bring the school books to life with a trip to the Land Down Under? Luckily, Australia has one of the most child-friendly scuba diving community anywhere. Several liveaboards welcome children as young as 4 onboard, and day boats are equally equipped to handle younger travelers. Plus, the Great Barrier Reef is an excellent place to learn. Most dive operations in the area offer Bubblemaker, Seal Team and Junior Open Water Diver courses. While in the water for the Open Water course, you and your kids will spot cool and unusual wildlife, such as potato cod, reef sharks and even minke whales. This is a great opportunity to teach children about conservation and inspire the budding naturalist inside every kid. Wild and beautiful, Palau has long attracted scuba divers to its bountiful waters. The 250 islands of this sunny country provide some of the best shark diving, soft coral reefs and wrecks in the world. Liveaboards ply these waters, taking divers between the best dive sites, but there are also plenty of opportunities to shore dive, too. Kids will delight in the sheer number of species found beneath the surface. From a plethora of fish like fusilier and humpback wrasse, this country was seemingly designed for expanding minds. 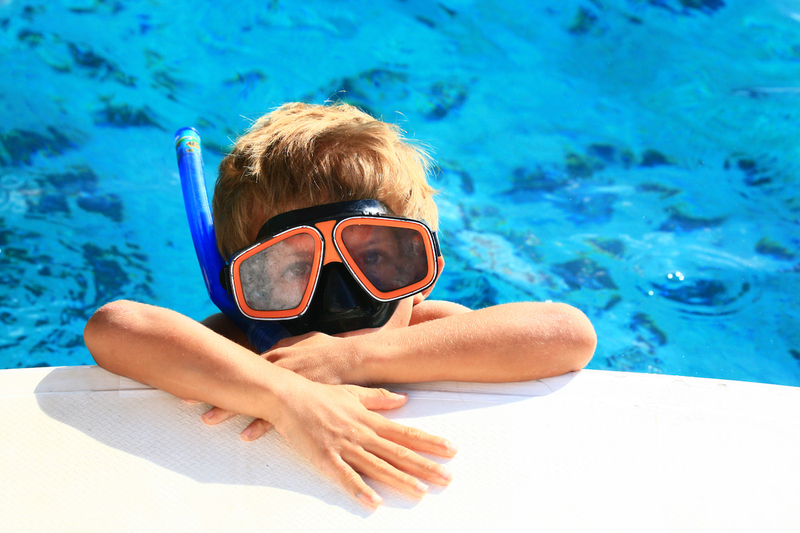 Scuba diving kids and non-divers alike are sure to love the water sports on offer in addition to the shore excursions. 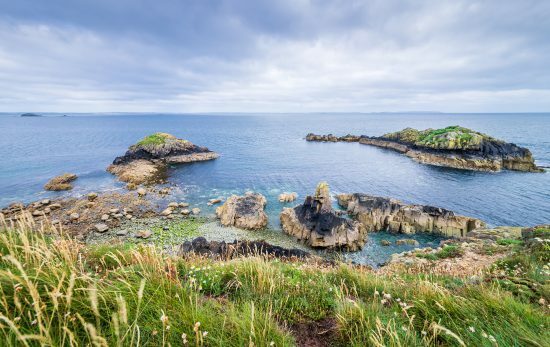 Beaches, jellyfish-filled lakes and cultural museums are just a few of the attractions to keep you and your family entertained. For a South Pacific adventure for the whole family, Palau is a great choice. Imagine sailing from island to island, exploring pristine waters and white sand beaches with your entire family. The Maldives is made up of hundreds of remote islands and pinnacles, a hotspot for pelagic activity. Now imagine the look on the faces of your children when they first spot a manta ray or whale shark. Shock, awe and excitement will flow through their bodies whether they are snorkeling on the surface or scuba diving. Even for adults, these gentle, graceful giants are a wonder. And the Maldives is one of the best destinations in the world for seeing both species. 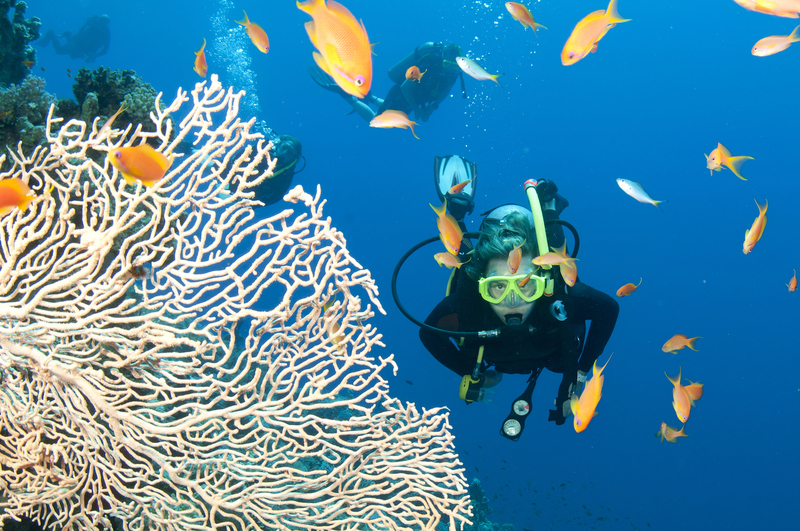 In terms of diving, the Maldives offers a great mix of beginner and advanced dives. Thanks to warm, clear water, the atolls are ideal for children who may be apprehensive about scuba diving for the first time. Plus, lots of the liveaboards traversing these waters come equipped to entertain landlubbers. With game systems, entertainment centers, kayaks, snorkeling gear and spa retreats, kids of all ages are sure to stay active. A gorgeous destination, the atolls of the Maldives offer a little bit of something for everyone. Many of the best sites in Turks & Caicos are the barrier reefs and drop-offs scattered around the country’s 40 islands. Because many of the sites in the Turks & Caicos are shallow reefs with little or no current, these waters are ideal for children just learning to scuba dive or even those too young for a certification. The snorkeling is wonderful! 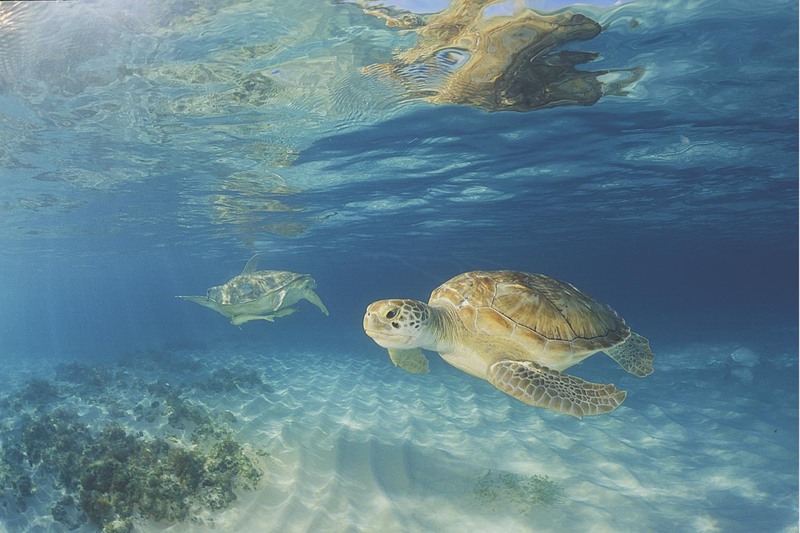 In addition, the marine life found in Turks & Caicos will blow you away. 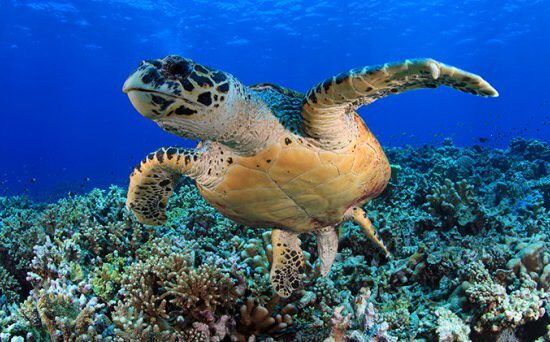 The islands are known as a refuge for sea turtles, and you are almost guaranteed to see a few during your stay. Plus, nurse sharks, eagle rays, dolphins, reef sharks, jacks, grouper and snapper can also be found. If your kids love something a little bigger, hammerheads, manta rays and humpback whales can also be spotted during the correct time of year. Warm, clear waters and friendly locals welcome divers to the Philippines. If you’re traveling with kids, this island nation will excite the senses for both the young and old. For children who are too young to scuba dive, shallow waters allow abundant opportunities to snorkel. 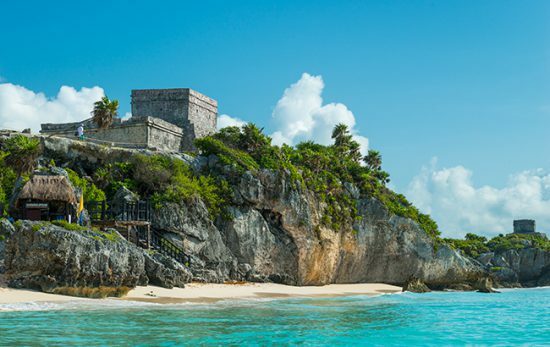 Plus, shore excursions explore pristine, white sand beaches and provide interactions with local communities. If your kids are just beginning their scuba diving adventure, the Philippines is a great place to learn. Shallow coral reefs are abundant with marine life. And there’s always a dive site without current nearby. The Philippines boasts macro wonderlands, wreck dives and coral reefs accessible from shore or by boat. With a great balance between under-the-water fun and topside attractions, the Philippines is a great choice for your next family-friendly scuba diving vacation. A two-for-one destination, St. Kitts & Nevis is a hidden Caribbean gem. The two islands are located close enough together to island hop without a plane, yet each holds wonders to explore above and below the surface. Well-developed with most of the comforts of home, St. Kitts & Nevis is ideal for a first ever family dive vacation. Both islands have lush greenery to journey through, world-class restaurants and luxury hotels. But to make the most out of your stay, consider booking a liveaboard and exploring both islands from your sea base. The diving here is extraordinary, too. Featuring incredible walls and biodiverse coral reefs, both St. Kitts and Nevis rival any other Caribbean island destination. Plus, St. Kitts is home to the M/V River Taw shipwreck, an easy site for divers to explore. Both you and your kids will love the scenery, the comforts and the adventure found in St. Kitts & Nevis. Give your kids a holiday they’ll remember by taking them to Indonesia. With unique cultures, some of the highest marine biodiversity in the world and gorgeous landscapes, the whole country is somewhat of a playground. In terms of diving, Indonesia offers several fascinating liveaboard routes – from Komodo to Raja Ampat and everywhere in between. 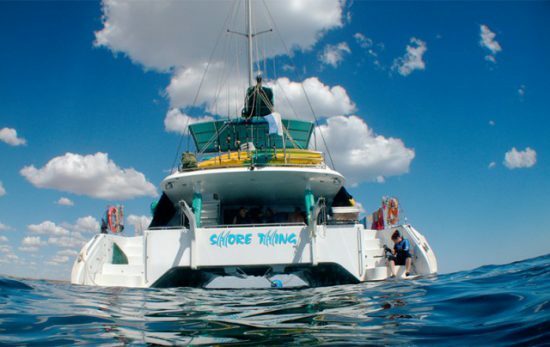 While some of these may be more suitable to advanced divers, many liveaboard routes welcome new divers or those just learning, which means kids 10 and up may be able to complete a Junior Open Water Diver course during your stay. For a less diving-centric holiday, consider staying on the island of Bali, where you and your children will find plenty of fascinating dive sites while relaxing on land. 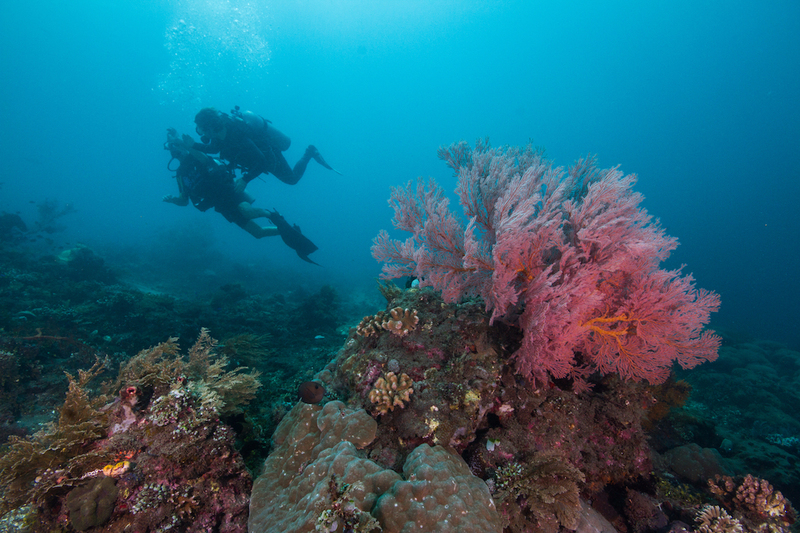 On the other hand, divers traveling with young children will also enjoy the wonders of Indonesia. Isolated communities can be visited by liveaboard, giving a unique view into the lives of local Indonesians. In addition, unique flora and fauna can be spotted on shore excursions from your liveaboard of choice. Indonesia is a destination your family will want to come back to again and again. Sea turtles, stingrays and adventure await in the Cayman Islands. Unique marine life and spectacular underwater topography welcome loads of scuba divers each year, including children and their parents. You’ve probably seen pictures of the extremely famous Stingray City located in the country, but that is just one of the water-based locations the younger crowd will love. Coral reefs and wrecks entice both scuba divers and snorkelers alike. Is your kid a budding underwater photographer? Make sure they don’t miss the chance to shoot the Captain Keith Tibbetts and the Kittiwake. These are a couple of the most photographed wrecks in the world. If you love the idea of seeing all the best sites between Grand Cayman, Little Cayman and Cayman Brac, you’ll need to book your family onto a liveaboard. With excellent amenities for children and adults, these boats provide both a memorable and relaxing vacation. Ready to book the family scuba diving holiday of your dreams? Contact a PADI Travel representative by phone or email, and we’ll help you pick out the best liveaboard for your crew.